How to build a natural mattress? The Maori people have cherished the land of New Zealand for around 750 years, key to this has been the beautiful culture of Kaitiakitanga, this ancient Maori term is used for the concept of guardianship and protection of the environment. A kaitiaki is a guardian, a person or a group with responsibility for certain areas. In Maori World View, people are closely connected to the land and nature, the axioms we take have a huge impact upon it. The Enkev Group has immense pride and passion for our position as a supplier of high quality, high integrity filling solutions. 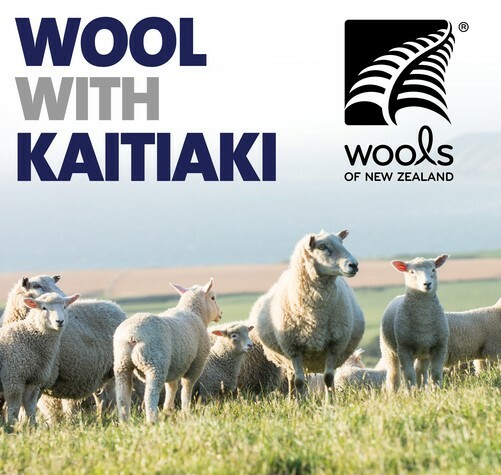 Wools of New Zealand helps us, Enkev, take our ethical and traceable supply chain to truly unique levels. The partnership with WONZ allows us the sourcing of the very best material direct from farms on the beautiful islands of New Zealand. On Saturday 29 October during Dutch Design Week the Dutch Design Awards were presented. 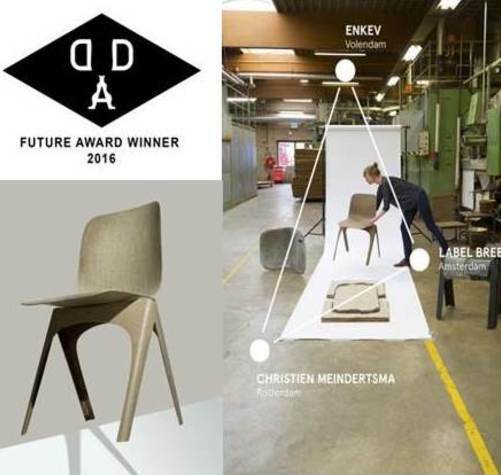 The winner in the Product category, FLAX Chair by Christien Meindertsma, impressed the international jury on all fronts, and won the Future Award: the big prize for the most promising design for the future. In collaboration with Label/Breed and Enkev, Christien Meindertsma designed a chair made from flax, a crop that requires little water. A new composite was produced by mixing the fibre with polylactic acid (PLA), a biologically degradable plastic made from lactic acid. The material is cut into rectangular lengths, and the various pattern sections are then heat and pressure-sealed to create a shell, and front and rear legs. Different fibres can be discerned in the chair. The design utilises as much of the plant as possible, and represents the flax plant in its entirety. Jury statement: In this project, Christien Meindertsma once again impressed the jury with her thorough approach. She has been conducting research into the potentials of flax as a material for many years; Meindertsma even bought a flax farm to learn how the material can be cultivated and processed. This project is clearly about more than just another chair: it is the result of long-term research into the material qualities of flax, a quest to reinstate the value of a largely underrated fibre (the short flax fibre), and a desire to connect with Dutch companies to launch a new product on the market. Working in collaboration with Label Breed and Enkev, these endeavours culminated in an astonishingly elegant result. The jury considers the FLAX Chair an excellent example of what contemporary design can achieve. We know it already many years: if we introduce a designer to our materials they fall in love with them immediately. They love the colours, the texture of our materials and the friendly, natural story that they bring along. It's not often that a designer manages to translate this preference into a product as well as Re-wrap from the Netherlands have done lately. 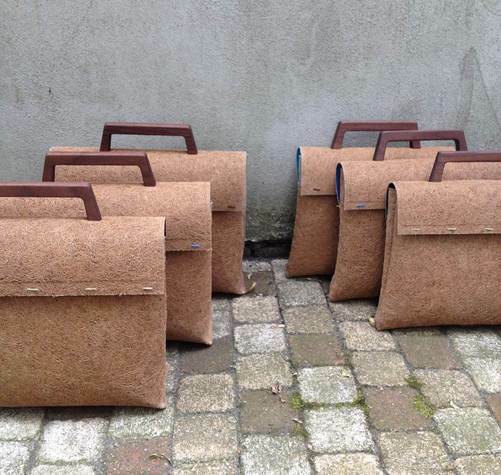 RE-wrap designed an entirely natural, 'tree based', compostable designer business briefcase. It took a lot of effort from the Enkev technicians to find a way to press coconut fibre and a natural latex sheet into a really thin foldeable, sewable shape.. This is another example of how Enkev converts traditional materials into the hippest products! Natural Fibre Composites can provide an alternative for many synthetic materials. They can ease the increasing pressures of raw materials scarcity. The use of Natural Fibre Composites will contribute towards Biobased economic development and Circular Economies. For many years Enkev - successfully – sells the Akwamat under mattress. The Akwamat has proven itself regarding quality and functionality. In humid areas, the Akwamat offers a solution to condensation under mattresses or cushions. For convenient in Campars, Caravans and Boats. We keep innovating and have made steps both in the area of new materials and new processes. The outcome is a new product: the Akwamat 2. Enclosed you will find the brochure. Nature has always provided us with beautiful resources. Historically very little got wasted. Meat was used for food. Leather, bones and also hair has been a source for making tools and clothing. In modern society these materials, called animal ‘by-product’, from the food industry are still used as raw materials for other industries such as the shoe, garment, chemical and pharmaceutical industry. No animals are actually killed for the hair itself. It is a resource that would get wasted if no useful application could be found. Hair coming from horses is an by-product that is mainly used by the brush industry. A small part finds its way into the mattress or upholstery market. Please read more in our Brochure: Our story of natural hair..
With the end of the year approaching quickly we want to use the opportunity to inform you about a new milestone that we have achieved: we proudly announce that our company Havivank has managed to obtain the so called GOTS certificate. The Global Organic Textile Standard (GOTS) is the worldwide leading textile processing standard for organic fibres, including ecological and social criteria, backed up by independent certification of the entire textile supply chain. We think that obtaining the GOTS certificate is significant and worth sharing with you because it standardises the way our industry is talking about terms like natural, organic or sustainable. Too many times we see people or companies using these terms without being able to back up their words. Buying GOTS certified products puts an end to this. GOTS gives the word Organic an objectively measurable meaning. We hope you are interested in these certified materials. If you are, please contact your Enkev sales rep.
After the succesfull development of Labyrinth 100, Enkev introduces a more value for money version: Labyrinth 200. This is a great innovation since we made a very elastic and durable 3D mono-filament of a common used polyethene (Low Density Poly Olifine Elastomer). 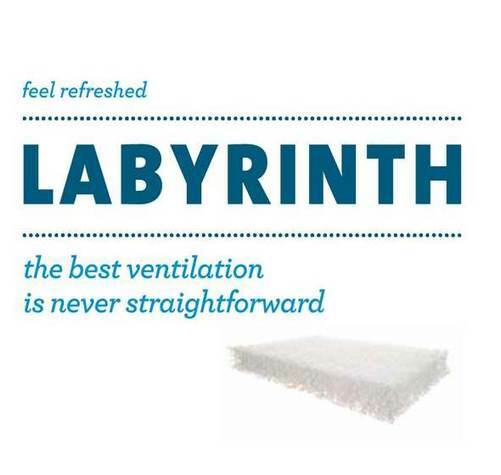 Labyrinth gives you the highest level of comfort. Adding Labyrinth to a quality mattress creates the most comfortable sleep for the consumer, the most durable choice for professional use, and even the most hygienic combination for potential medical or institutional use. Labyrinth is a hygenic, hypo-allergenic, dust-free, contaminant-free and non-toxic product. Humidity and air flows freely through the open layers of Labyrinth in your mattress or upholstery, resulting in the best climate for sleep or comfort. Like a fresh breeze in a hot summer, the horizontal air movement caused by natural body movement during the hours of sleep gives you the most comfortable micro-climate, which leads to the most restful and relaxing conditions. Labyrinth is amazingly durable: we measured a maximum of 5% loss of thickness rolling a 140kg weight over the material for 60.000 times. When it comes to ventilation, resilience, flexibility and durability, there is nothing better than Enkev’s new Labyrinth.